The more recent DC Comics superhero pictures are not generally known for tickling the funny bone. 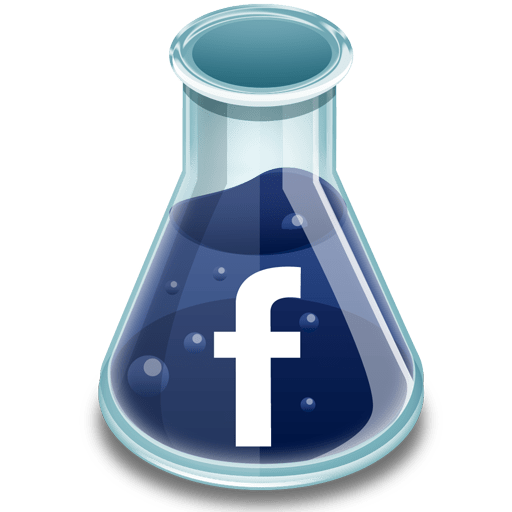 In fact, most of them are so self-serious that the gravity imposed upon their worlds and the characters who inhabit them renders potentially compelling stories into an exercise of wading through depression. But “Shazam!,” directed by David F. Sandberg, manages to hit the mark. It is most enjoyable perhaps because it exhibits awareness when it comes to genre conventions, particularly the realm of origin stories, and it is willing to take risks by taking on serious subject matters such as abandonment issues of a foster child or an adult man who is angry for never receiving his father’s approval—or respect. By the end of the film, I caught myself smiling from ear to ear. I suspect—and hope—it is only the beginning of Billy’s story. The star of the film, for me, is a supporting character. His name is Freddy Freeman, a disabled boy who becomes roommates with our central protagonist, Billy Batson (Asher Angel), when the latter is sent to live in a group home following yet another run-in with the authorities for finding rather creative but criminal ways to track his birth mother. Freddy is played by Jack Dylan Grazer whose comportment and facial expressions are perfect for a movie like this. He embodies the excitement and the curiosity of the audience for being so close to someone who possesses extraordinary abilities. Shazam, after all, is meant to be approachable unlike other brooding caped crusaders. I think children will be able to relate most to how Grazer responds when a friend/sibling reveals astonishing talents. 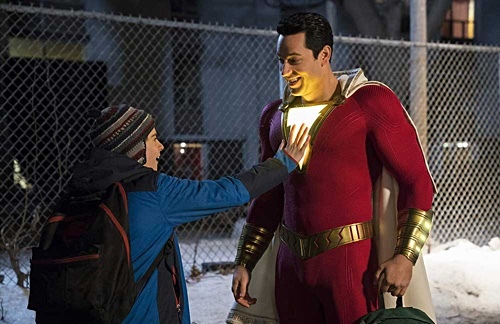 In fact, one of the best sequences of the film involves Freddy and Billy (the superhero Shazam played by Zachary Levi) performing dangerous stunts in order to determine Shazam’s superpowers. They have a checklist and a YouTube account. As expected, the work is generous in offering special and visual effects. They are not always used appropriately because the subpar CGI may stick out like a sore thumb at times—that awkward sequence of flying inside a mall, for instance—but I also had the impression that these are meant to be tongue-in-cheek. Since the overall feeling recalls superhero movies from the late-1990s and early-2000s, perhaps the occasional terrible effects is meant for laughs. When they are used appropriately, they enhance action sequences quite effectively. The first confrontation between Shazam and Dr. Sivana (Mark Strong, chewing scenery) in downtown Philadelphia comes to mind. Also expected are messages about the importance of family—family by birth and family by choice. Although touching at times, these are never syrupy, certainly never on the territory of a bad Lifetime movie. I found Billy’s struggle of finding his birth mother to be moving, especially when he entertains the possibility—even for a split-second—that she never wanted him. When he was a boy, he got separated from her at a carnival. A mother who actually wanted her son back would come looking for him. Yet she never did, not even after over ten years. Compare this to his foster parents (Cooper Andrews, Marta Milans) who drop everything to look for him every time he runs away. There are parallels between our hero and the villain. I liked that the screenplay by Henry Gayden never bothers to stop and explain what love means to these characters. We understand by observing how they respond when love comes knocking in unexpected ways. Even though “Shazam!” is a sci-fi action film with numerous comic moments, it is smart to root it in drama. We all know that heroes must come face-to-face with villains, that good will triumph over evil. Less certain is the ways in which characters would find ways to cope—or fail to do so—when they realize they are looking for answers in all the wrong places. I look forward to its next chapter.